What does food mean to you? For all of us, food means survival and for many, great joy. 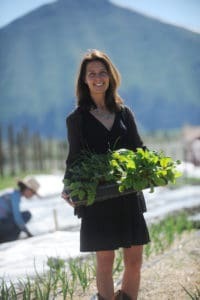 It’s essential to good health and connects us as people. It’s beautiful in its simplicity and yet, the issues surrounding food are maddeningly complex. The underlying causes of hunger go beyond an absence of food. Hunger prevails because of the gnarled roots of poverty and injustice. The complexity of inequity is hard to chew, but we know, in the very least, it means we have to keep working.  Our new brand is one way we’re addressing the root causes of hunger. The shame in needing help has long been preventing people from accessing our services. Historically, people felt that not being able to afford food was a personal failure or at least perceived as one. But while shame is strong, hope is stronger. As you can see from our website, the new solution is fresh and fun, empowering and hopeful. As a small, compassionate community, we’re uniquely positioned to take on global challenges at the local level. Have an idea? A skill? Some extra cash? Time on your hands? 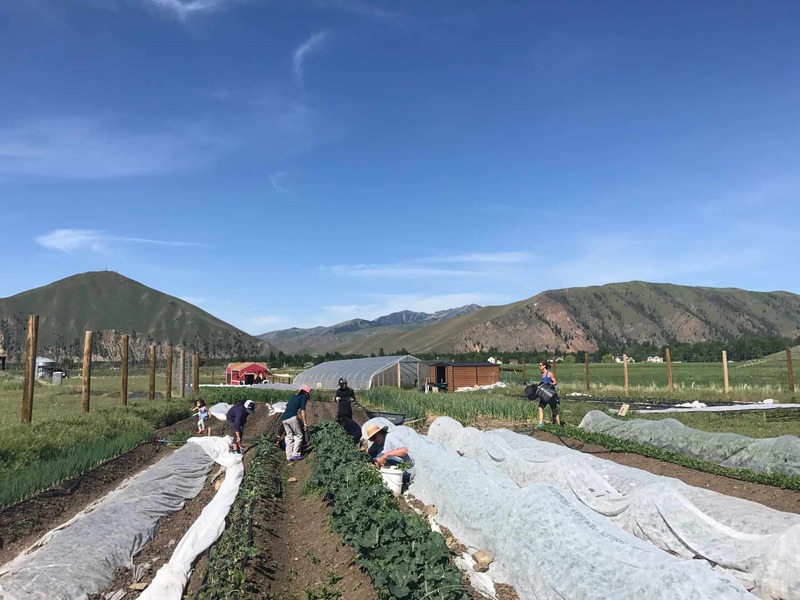 The Good Food Community is made up of people unified around good food for all.Right now, we have a $50,000 matching gift and several volunteer opportunities if you can share your time or money. Thank you for helping us get to this chapter in our story and thank you for keeping the movement in motion. Click here to read the entire July 2018 Newsletter and subscribe to our emails by clicking the carrot on our home page so you never miss a beet. A generous local donor has raised the stakes on our annual summer fundraiser. This year, we’ve doubled the matching gift opportunity. If together we raise $50,000, our total investment in good food for all will be $100,000! We’re already at $19,585 right out of the gate. 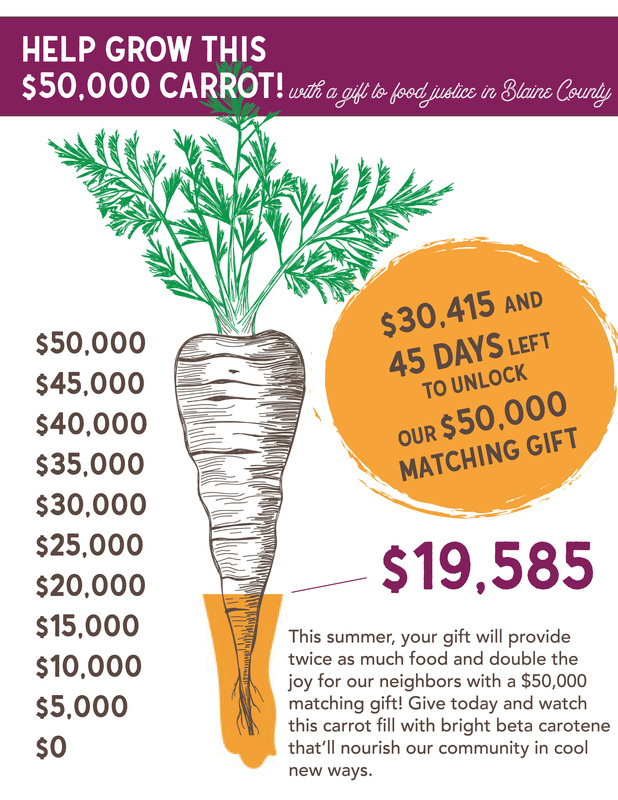 That means your gift will provide more Bugs Bunny carrots to local kids, more seeds and shovels to Volunteer for Veggies participants, more laughter, better health, and it will bring more families back together around the dinner table. Our dream for the future of food security is ambitious and we can only get to where we’re headed with your support. Click here to take our secure, new donation page for a spin and invest in a healthy future for all of our neighbors.